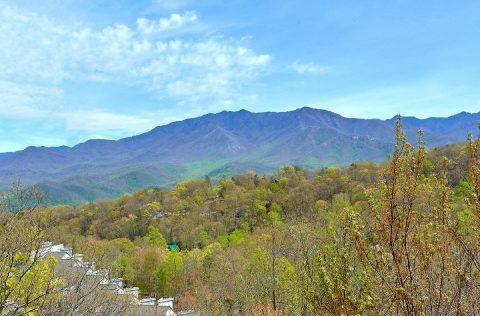 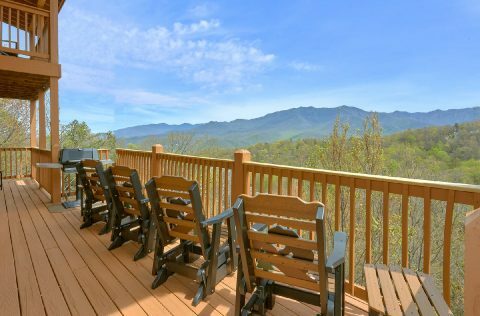 Book "A Spectacular View To Remember" for an incredible vacation in the Smoky Mountains! 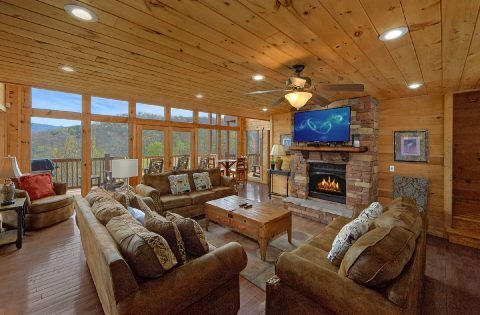 Nestled in Chalet Village, this 5-bedroom cabin comes with an awesome lineup of amenities including a theater room, game room, and resort pool access! 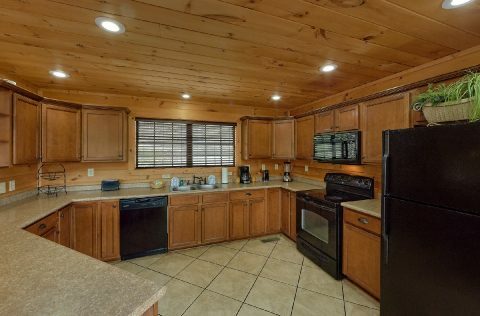 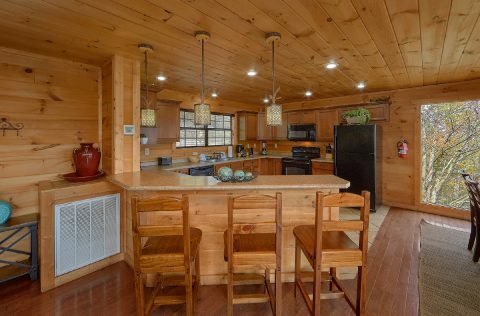 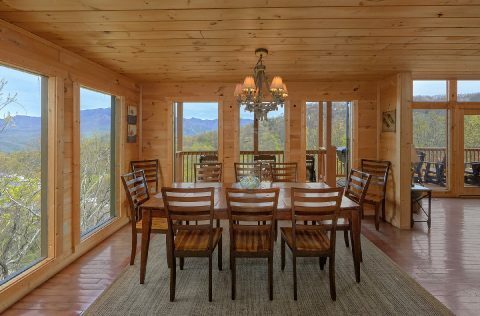 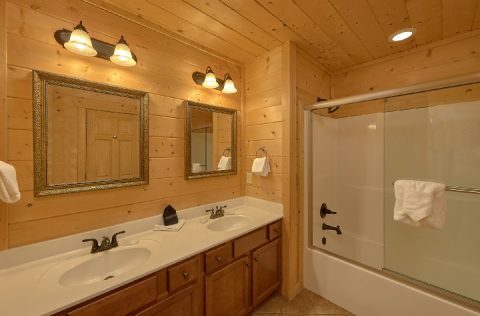 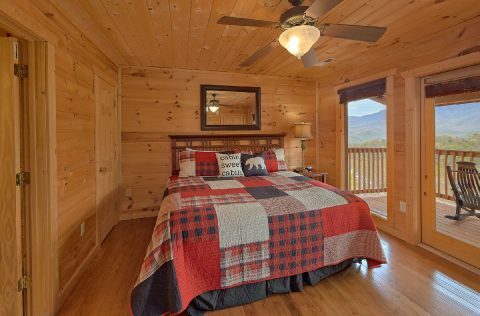 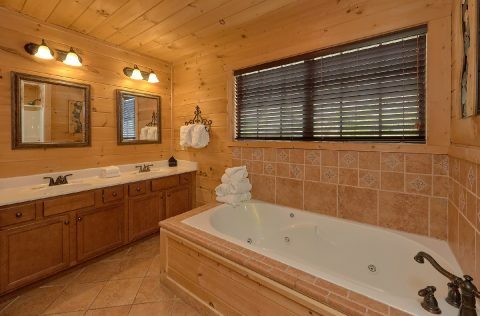 With room for up to 10 guests and 5 bedrooms, your cabin in the Smokies has plenty of space for your closest friends and family to unwind and relax. 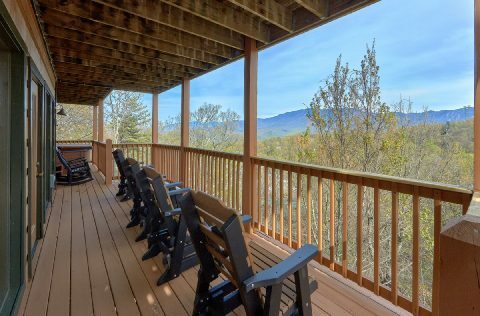 Even better, you'll be truly pleased once you see your cabin's incredible view. 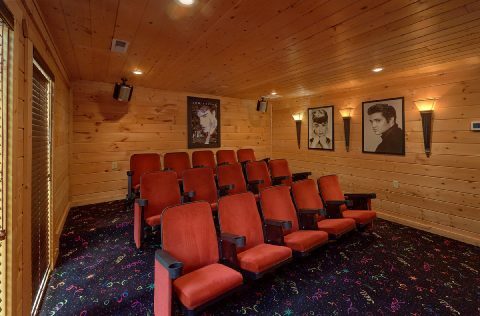 Upstairs, you'll find a one of a kind theater room with a 9 FT screen, a projector, surround sound, and 15 comfortable theater style stadium seats. 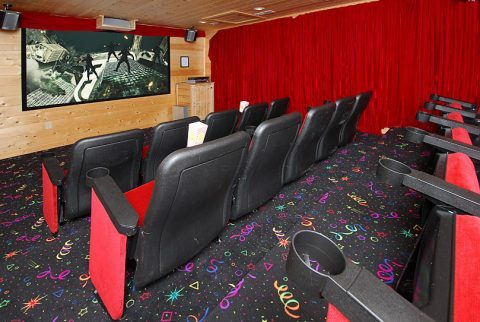 Guests love this premium home theater system that allows them to see their favorite movies like never before. 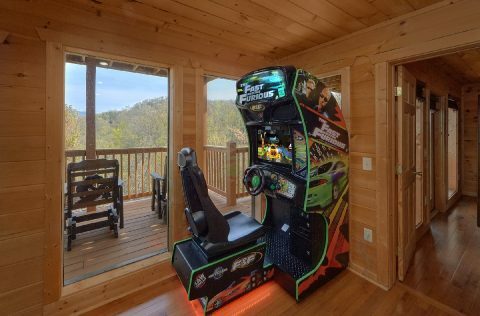 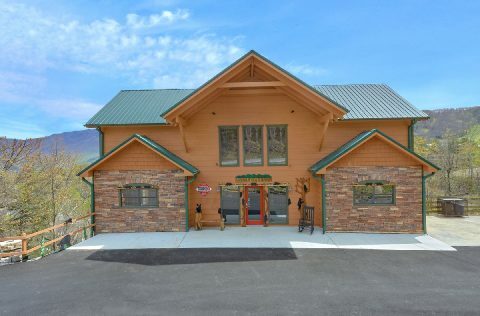 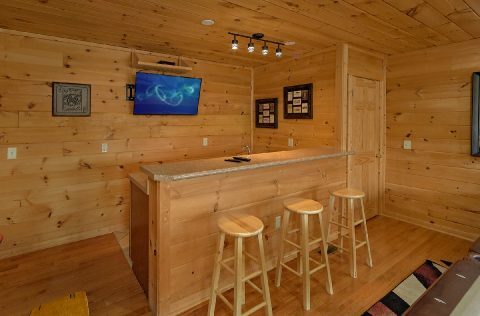 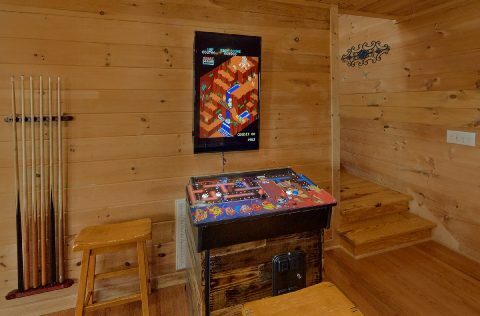 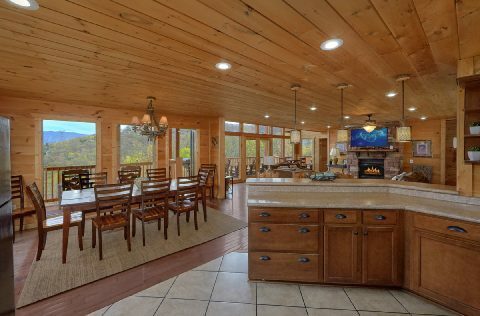 This luxury Smoky Mountain cabin also offers a game room on the lower level. 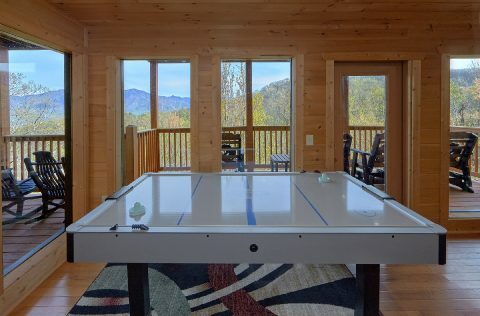 This entertaining room features a pool table, stand-up arcade, air hockey, an HDTV, mini-fridge, microwave, and a wet bar. 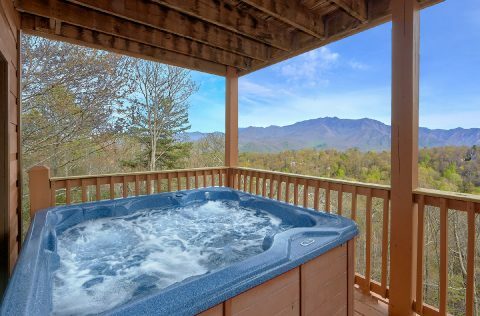 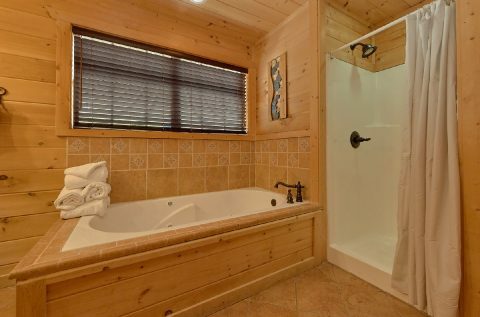 This level of your cabin has access to a deck with porch rockers and a soothing hot tub to enjoy while you take in your private mountain vista. 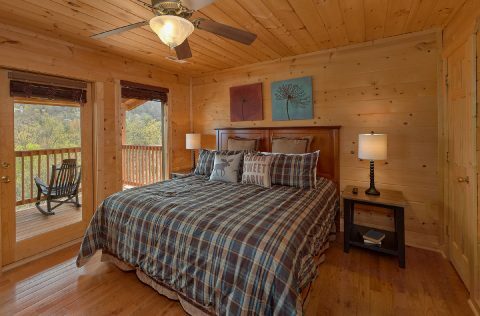 When you're ready to get a great night's rest, your cabin has you covered. 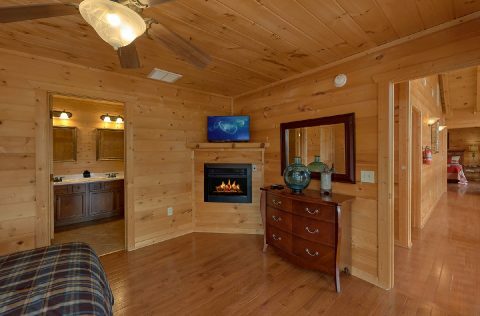 There are 2 private bedrooms on the lower level of your rental that provide king beds, private baths, gas fireplaces, and access to the deck. 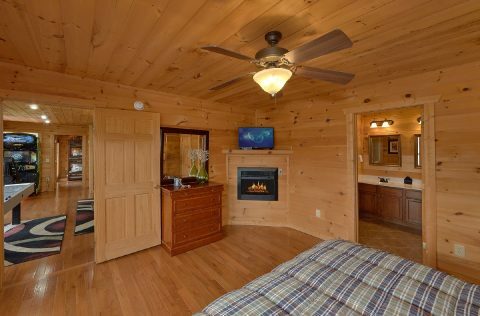 On the main level of the rental, there's another king-size bedroom with a romantic fireplace, jetted tub, and private television. 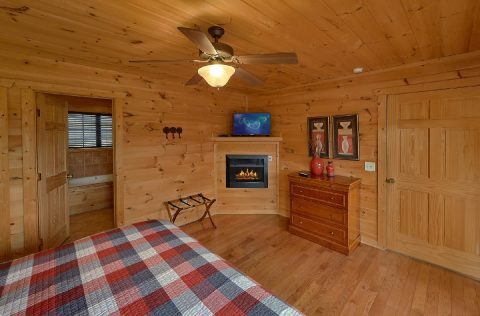 Lastly, the upstairs features two more king bedrooms, each with full baths, televisions, and access to a deck. 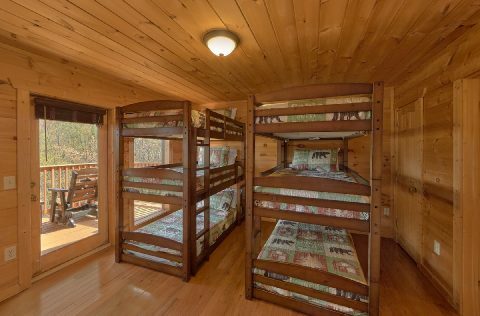 Need more accommodations for your group? 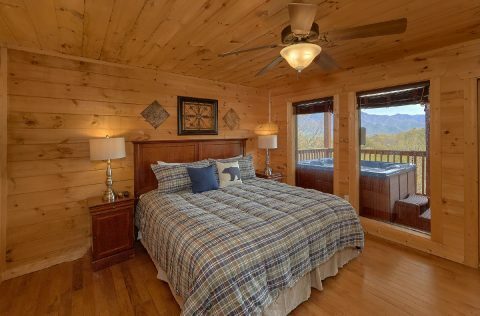 "A View From Above" and "Amazing Views To Remember" are beautiful cabins that are located nearby! 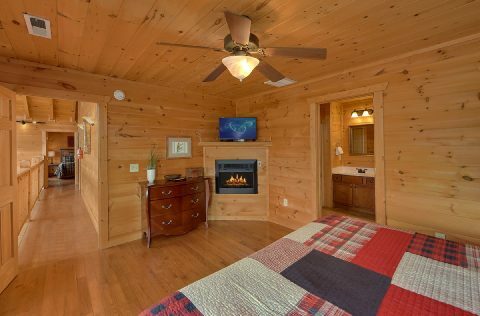 Feel free to contact our helpful reservations office if you'd like to book more than one cabin for your stay! 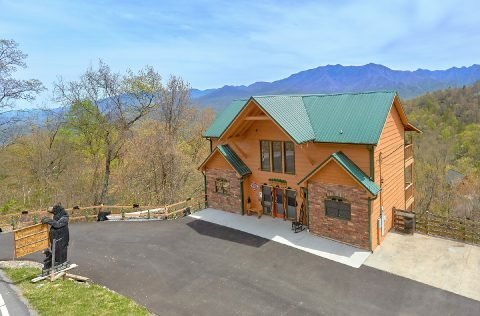 With a location only 5 miles from Sugarlands Visitor Center, guests at this cabin can enjoy all the wonders of the Smoky Mountains with ease. 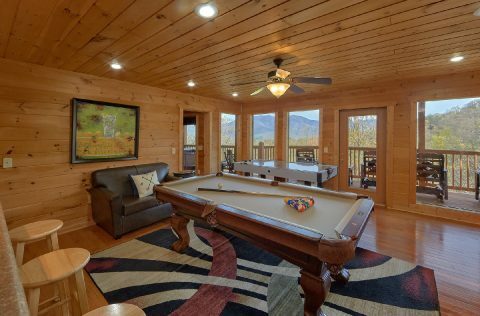 When you return from your fun-filled day in the mountains, you can enjoy a relaxing swim at a Chalet Village Resort pool or watch your favorite film in the theater room. 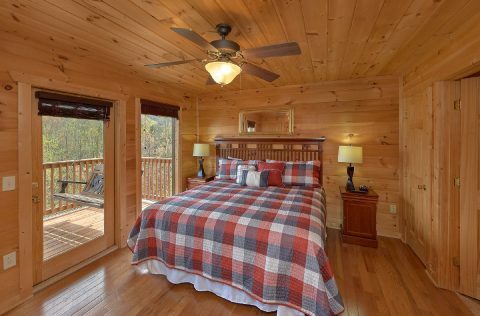 No matter how you choose to spend your vacation, you're bound to love this luxury cabin that comes with a special discount. 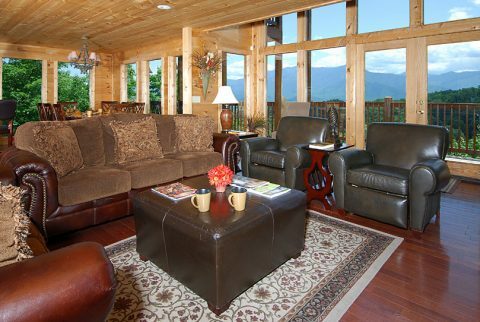 Simply book online with Cabins USA to save 15% today!